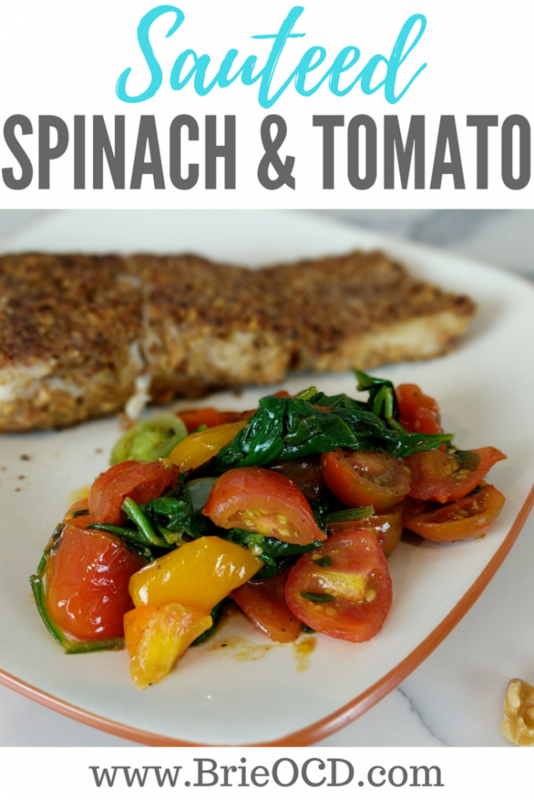 Sauteed spinach and tomatoes is a quick and easy recipe. Spinach and tomatoes are packed with nutrients and antioxidants and are the perfect accompaniment to just about any dish! Tomatoes are packed with vitamins and the antioxidant lycopene, which has been known to have many health benefits. Spinach… well we all know from Popeye that Spinach will make you strong as all hell! It also has many health benefits such as helping to strengthen eyesight and reduce blood pressure. With only 110 calories per serving this side is light and healthy. It has 14g carbs (plant based = healthy carbs), 4g fat (healthy fat from olive oil) and 3.5g protein. This side is super quick! 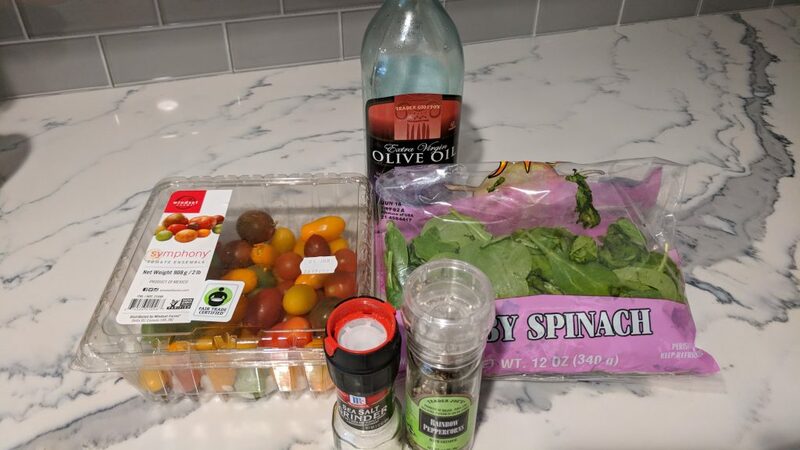 It took me 1 minute to prep (slice tomatoes) and then 3-4 minutes to get the olive oil heated and the veggies sauteed. Add salt and pepper to taste! 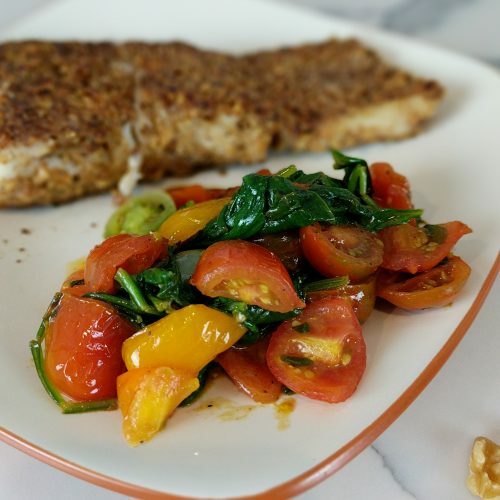 I recently made this with my Nut Crusted Halibut (click here for that recipe) and I was completely full after that meal. I suggest adding this as a side to your favorite dish or any lean meat such as grilled steak (click here for recipe) or chicken! heat a small saute pan over medium heat and add olive oil for about 30 seconds. serve with your favorite lean meat or fish like grilled Steak or Nut crusted halibut!